Wireless headphones are great, but it's not easy to give up your beloved pair of wired headphones that have been with you through thick and thin, and deliver the sonics you've grown so fond of. The Atech Micro Bluetooth Receiver solves this problem by letting you turn your favorite pair of wired headphones wireless, and it's on sale for just $19.99. 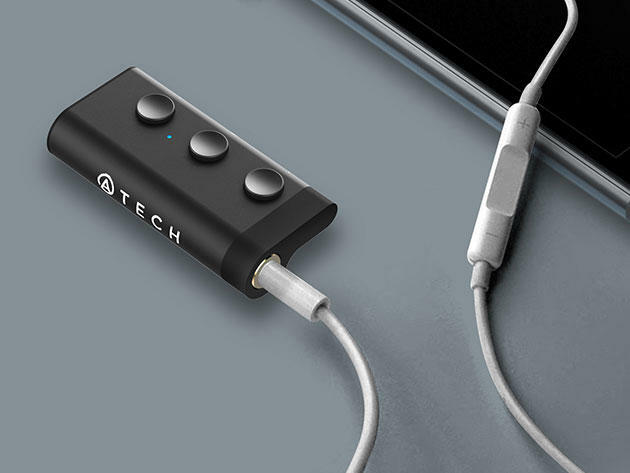 As the world's smallest Bluetooth receiver, the Atech Micro offers a minimalist solution to your wired headphone woes. It connects directly to your headphones so you can keep your smartphone in your pocket where it belongs without having to worry about tangled wires. You'll be able to control volume and music playback directly on the receiver, and it even comes with a built-in shirt clip for easy access. Don't sacrifice your favorite pair of wired headphones for wireless convenience. The Atech Micro Bluetooth Receiver lets you have the best of both worlds for just $19.99—60% off its usual price.